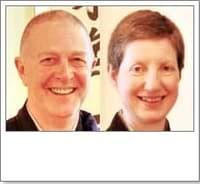 Hossenshiki at Zen River for Tessa Gyosei Overbeek will take place on Sunday February 10, at 11am. All dragons and elephants are heartily invited to attend! As previously announced, the ceremony will be held at the beginning of two consecutive five-day sesshins. Our schedule had to be adapted because of the limited availability of Yusho Sasaki Roshi. She is the head of the European department of the Soto School and will serve again as the official witness. Sasaki Roshi will also give a talk on Saturday evening, February 11, at 8pm. For more details, please contact the office. The training format of the traditional three-month Ango has a long history. It started at the time of the Buddha, when he and his disciples would gather together during the rainy season. In today’s Japan all monks have to participate in a number of Angos in order to receive their licenses as bona fide priests. Zen River’s year-round program includes two Angos, one in summer and one in winter. Everybody is welcome to participate for any length of time, but it is particularly powerful for those who are able to attend the whole three-month period. At the end there is always a Hossenshiki (dharma-combat ceremony) for the head monk, and since 2010 these ceremonies have been certified officially by the Soto School.